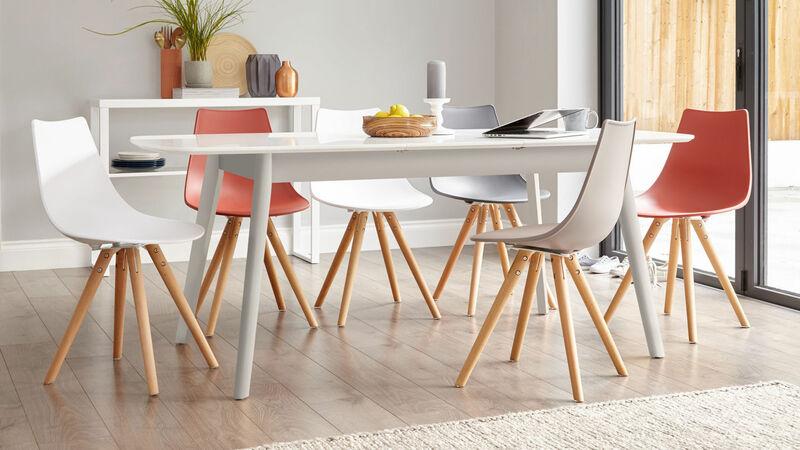 Are you looking to complete the perfect contemporary dining room set in time for the family gathering this Christmas? 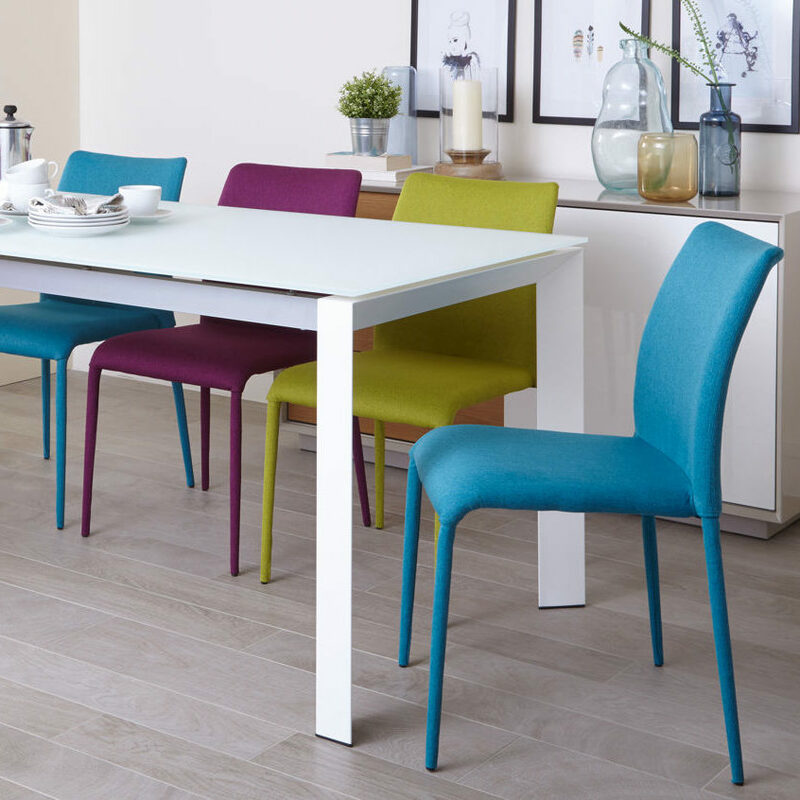 Why not take inspiration from us, and team a Danetti designer dining table with any of our trendy collection of coloured dining chairs, ensuring the creation of your ideal kitchen arrangement before the festive season gets into full swing. 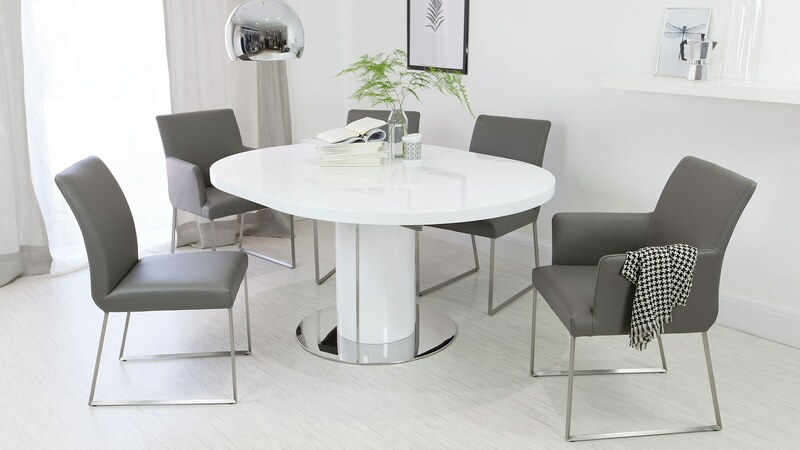 We offer a fantastic range of contemporary dining tables of all shapes and sizes here at Danetti, encompassing white round, white gloss and extending dining tables, with two, four, six and eight seater numbers available. 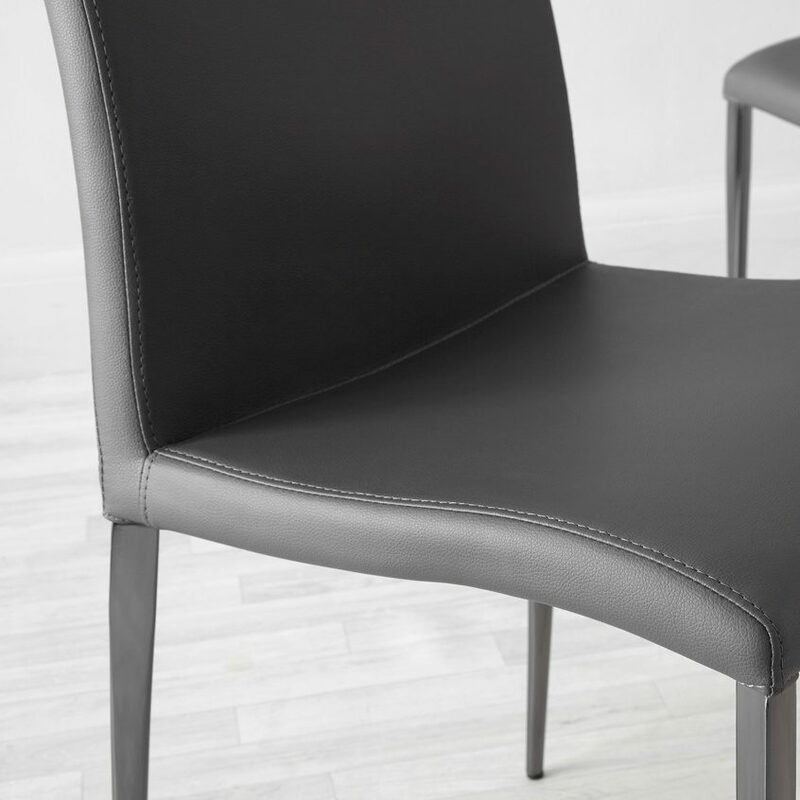 Free assembly is offered on many of our stylish collection, whilst all are covered with a one-year guarantee as standard. 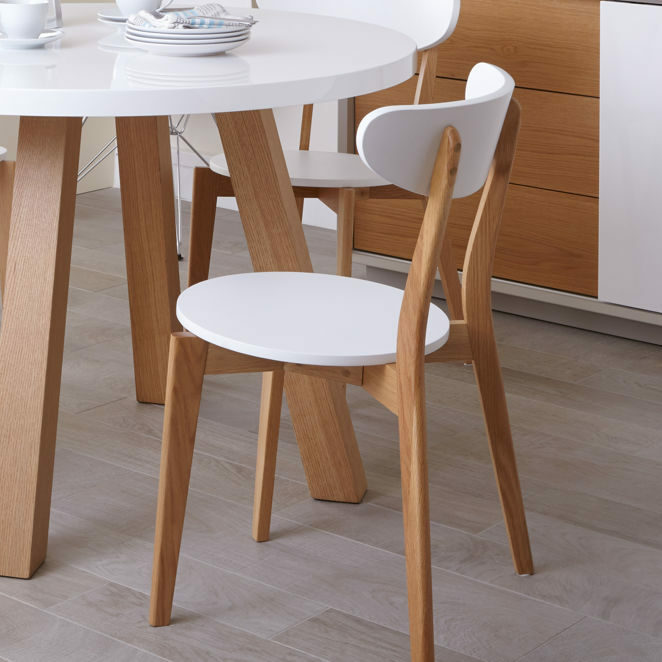 An ideal component of any modern dining room set, Danetti designer dining tables are manufactured with the accompaniment of our contemporary dining chairs in mind. 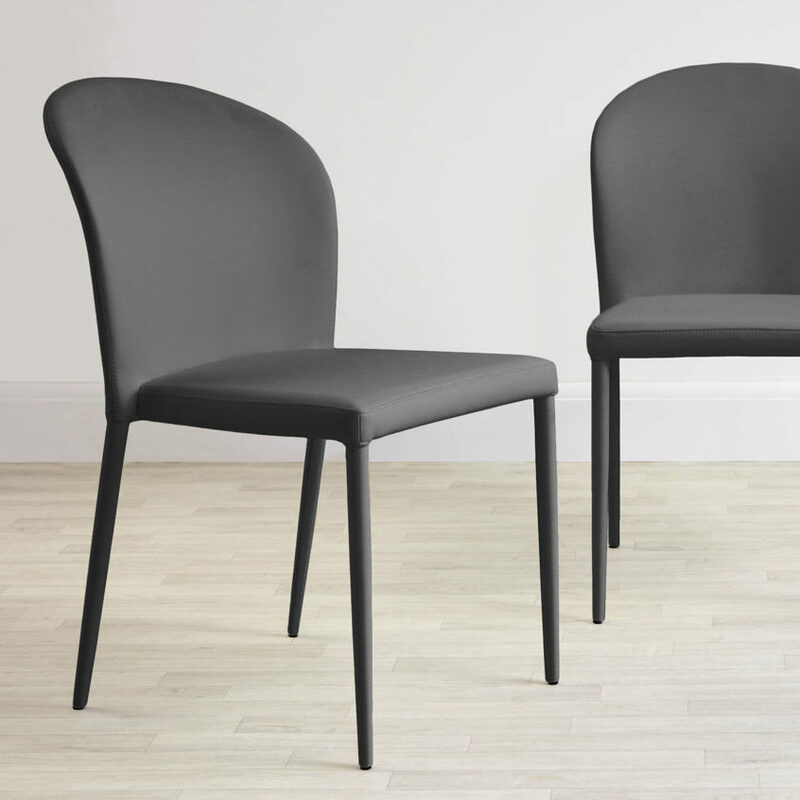 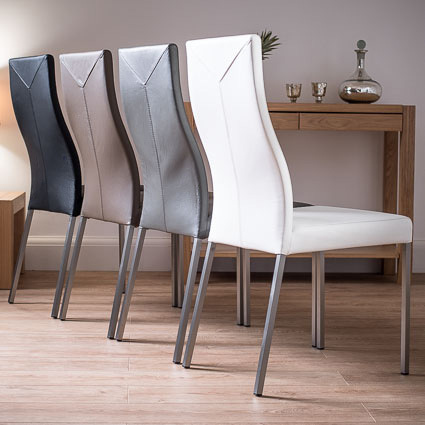 And much like our selection of voguish dining tables, Danetti's modern coloured dining chairs are tremendously upscale, and also available in a wide variety of shapes, sizes and materials. 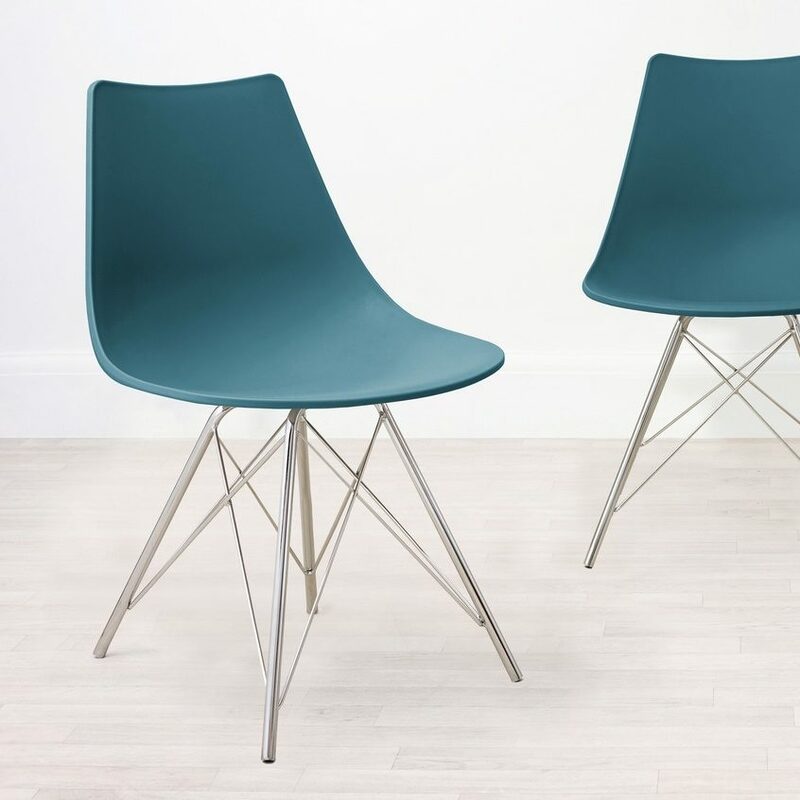 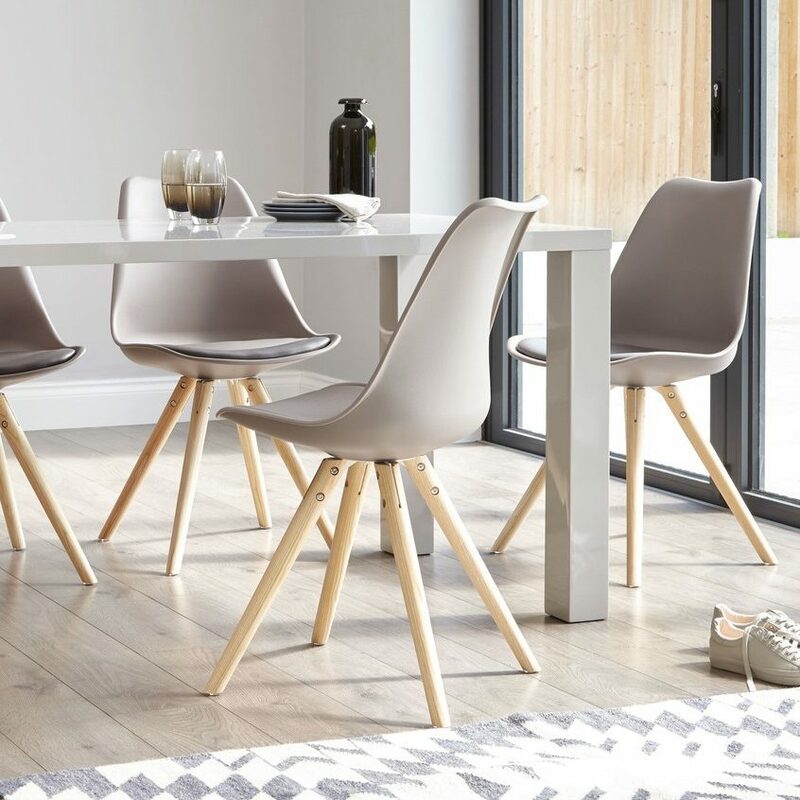 From plastic retro options to understated faux leather items and chrome-finished seats too, there really is a set of contemporary chairs to suit any and all of our designer dining tables. 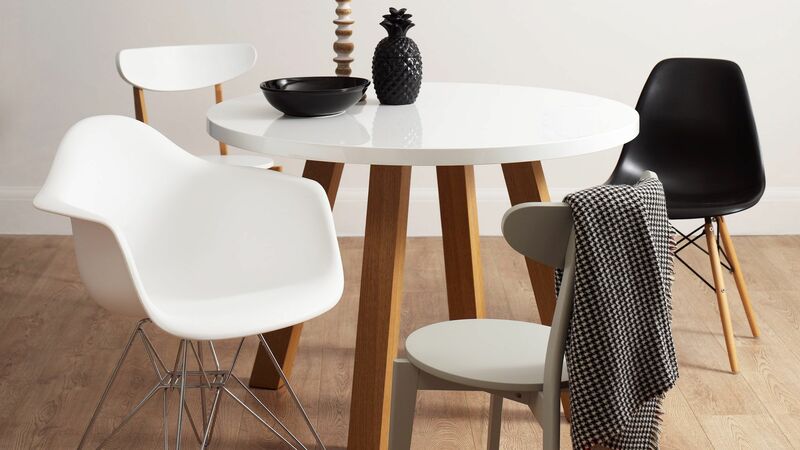 Delivery prior to Christmas is guaranteed on several products, so you can enjoy your perfect modern dining set over the full festive period. 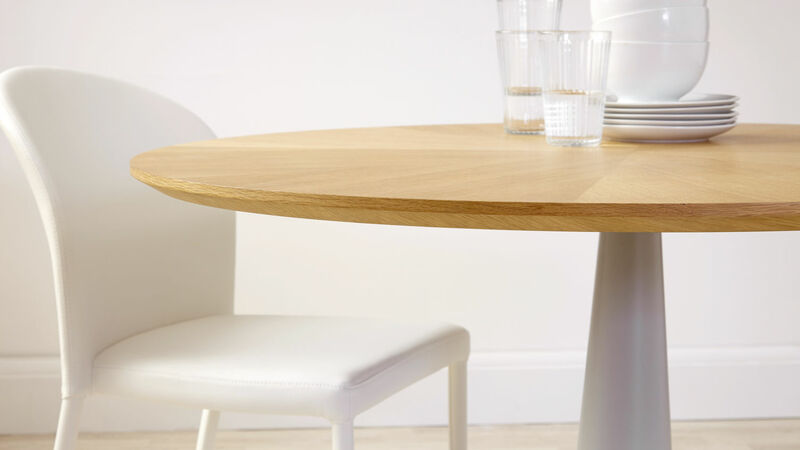 For further information about our superb collection of designer dining tables, coloured dining chairs, or any of our contemporary dining room furniture, please don't hesitate to get in touch with us. 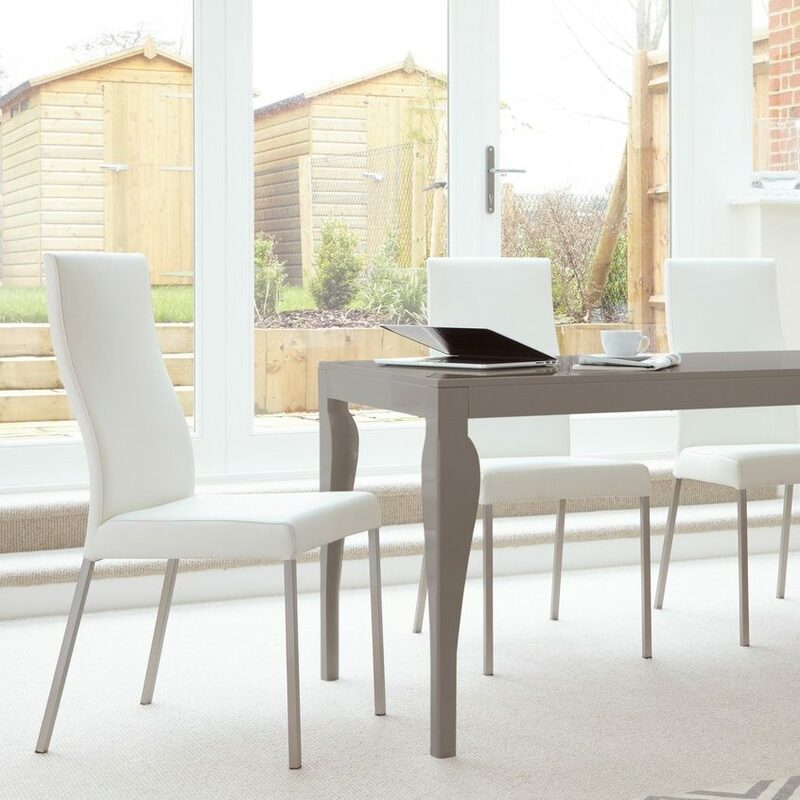 You can call us direct on 020 3588 1380 to speak to one of our friendly advisors. 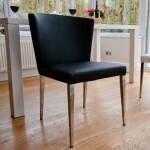 So Royal Ascot is over for another year and what a great week it was! 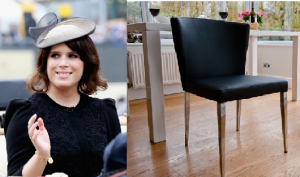 We backed a few winners and a few losers too, but most of all we enjoyed seeing all the fabulous hats and ladies’ fashion. 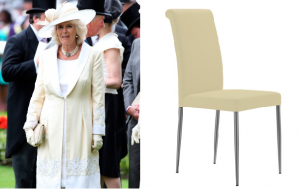 Here are a few of our favourites from Royal Ascot week and we are so pleased to see that some ladies have taken inspiration from our furniture! 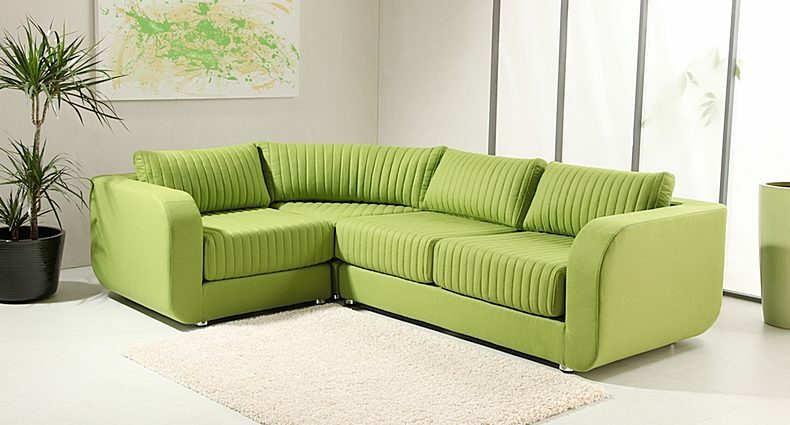 The Anzio has clean lines which makes it very eye catching and modern. 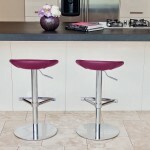 The stylish round seat is upholstered in high quality faux leather in a gorgeous rich Mulberry Purple colour. 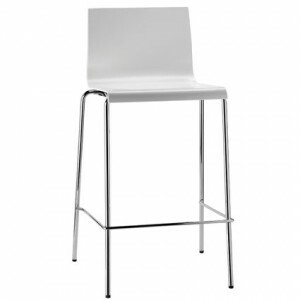 The pedestal is finished in shiny chrome with a heavy round flat base to provide stability. 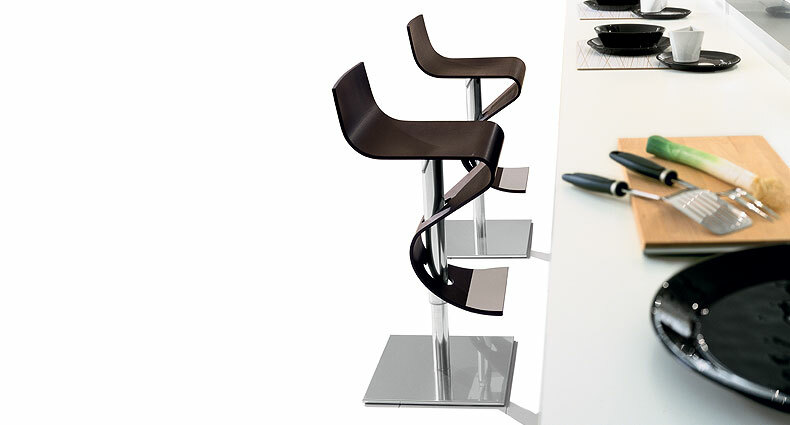 The height is adjustable via the gas lift system. 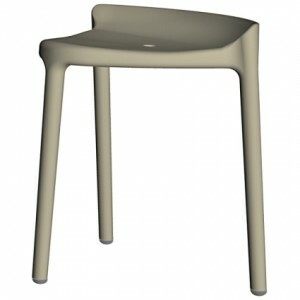 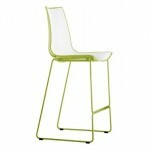 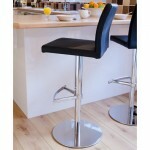 The Gabello Bar stool is a fantastic piece of furniture. 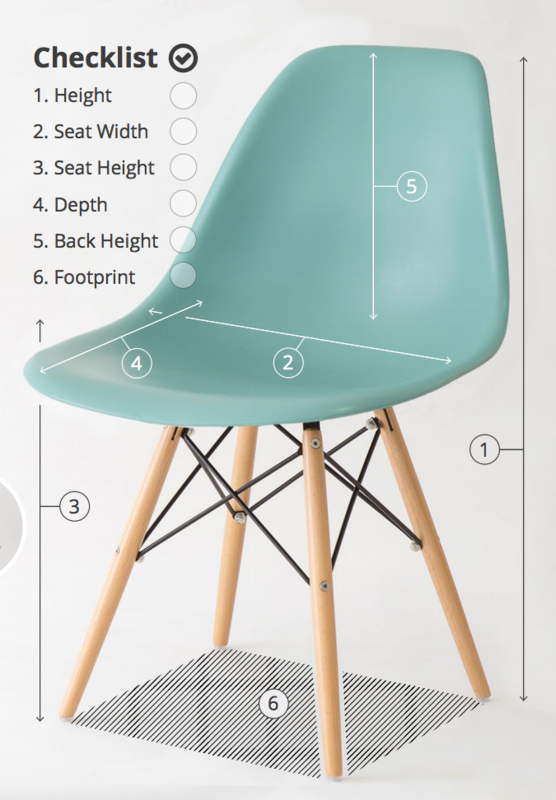 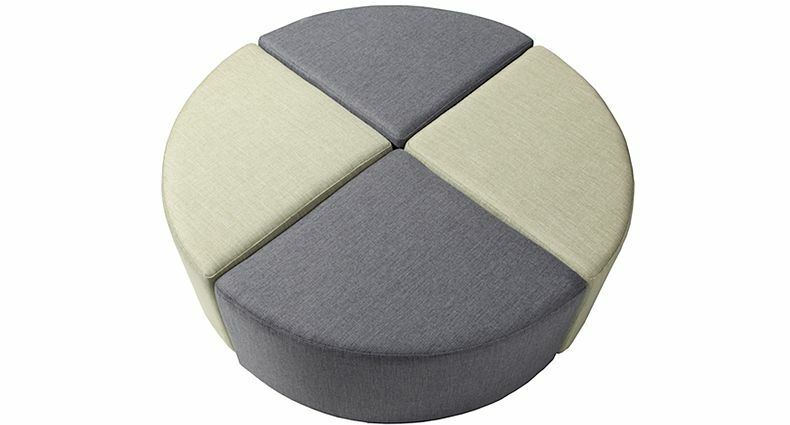 The unique seat and contrasting back makes the stool very eye catching. 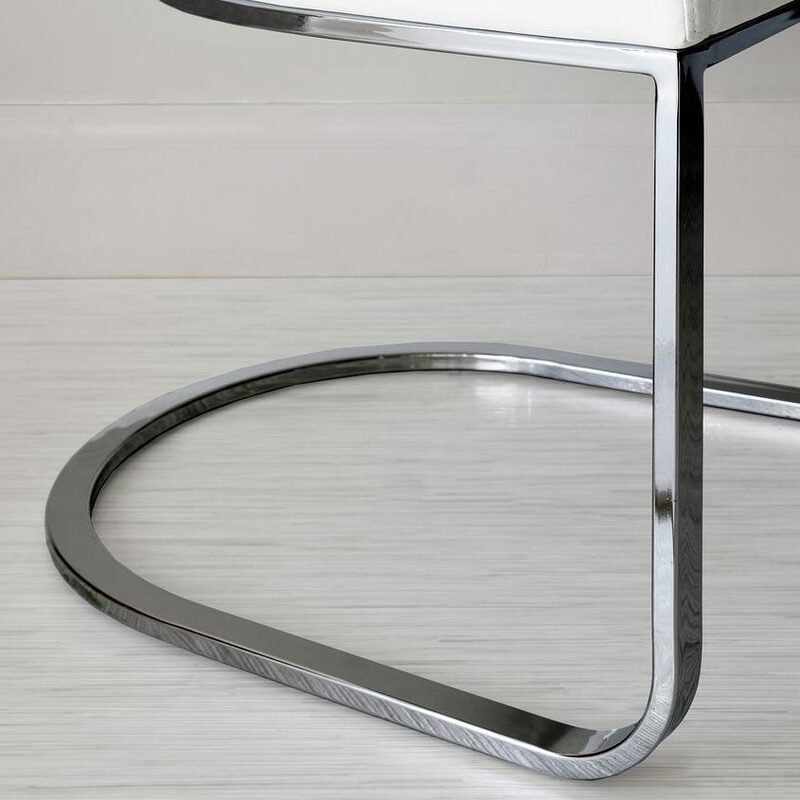 The round, weighted base and sleek frame is chrome plated steel. 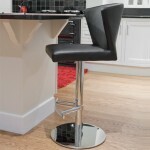 The gas lift mechanism ensures the stool is adjustable. 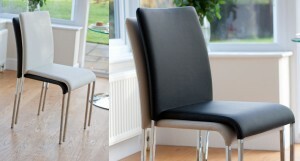 The seat and back are available in a choice of soft leathers. 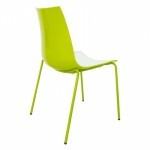 The Fern dining chair comes in six great colours: classic black, white, red, yellow, purple and green. 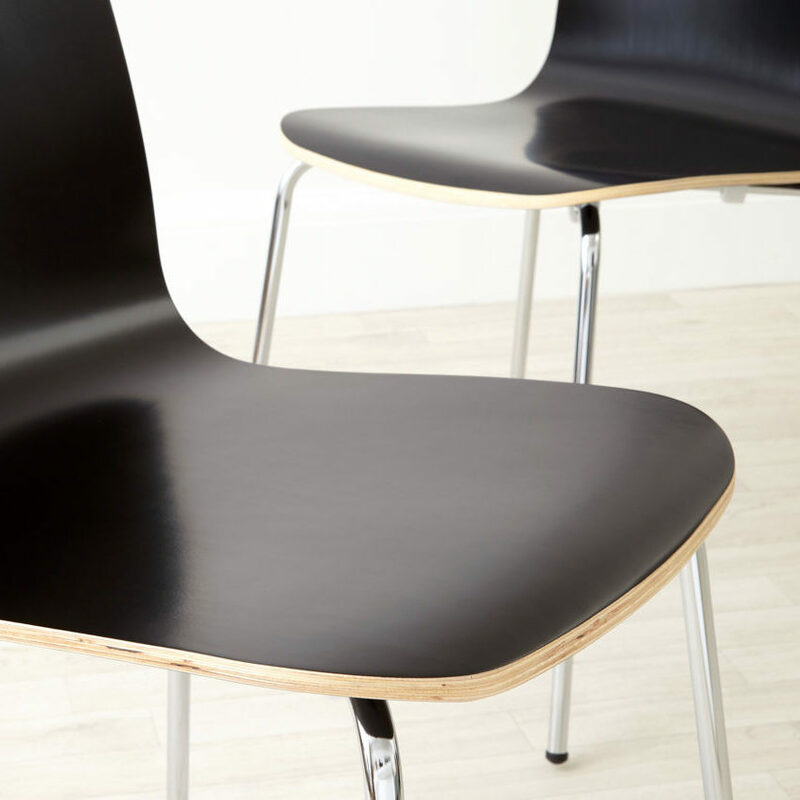 The seat is made from laminated plywood and the seat and back are all one piece, which makes the chair look sleek and seamless. 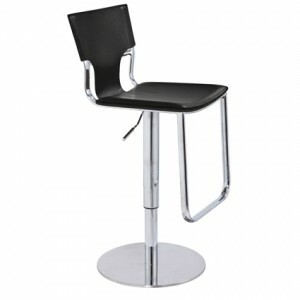 The modern Serroni Trendy Gas Lift Bar Stool and matching Serroni Dining Chair are stylish and eye-catching. 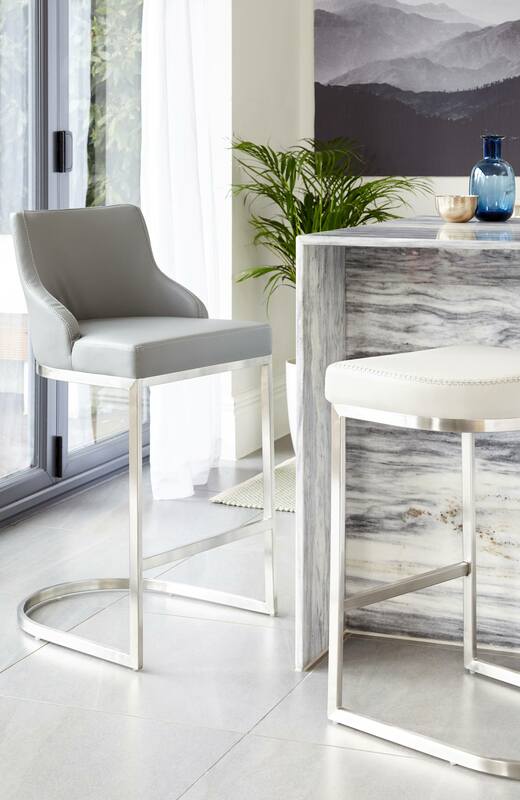 The Italian-inspired designer bar stool is elegant and contemporary, with a comfortable seat upholstered in soft, tactile classic black or high fashion white faux leather. 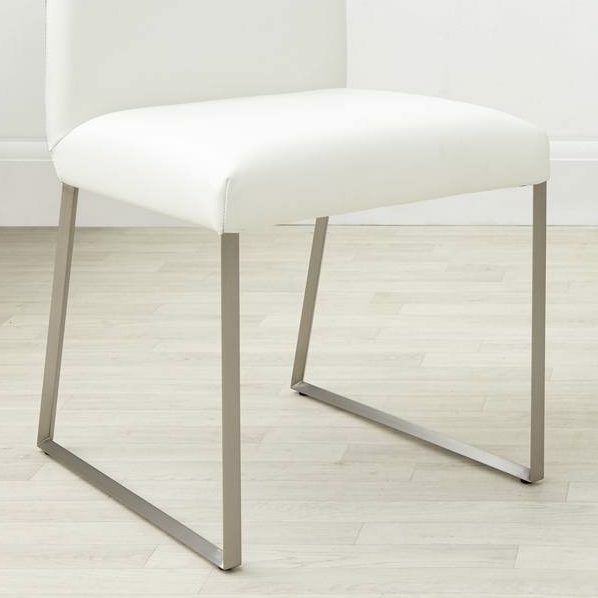 The pedestal, funky footrest and heavy round base are finished in modern chrome and the height is adjustable thanks to a high quality gas lift mechanism. 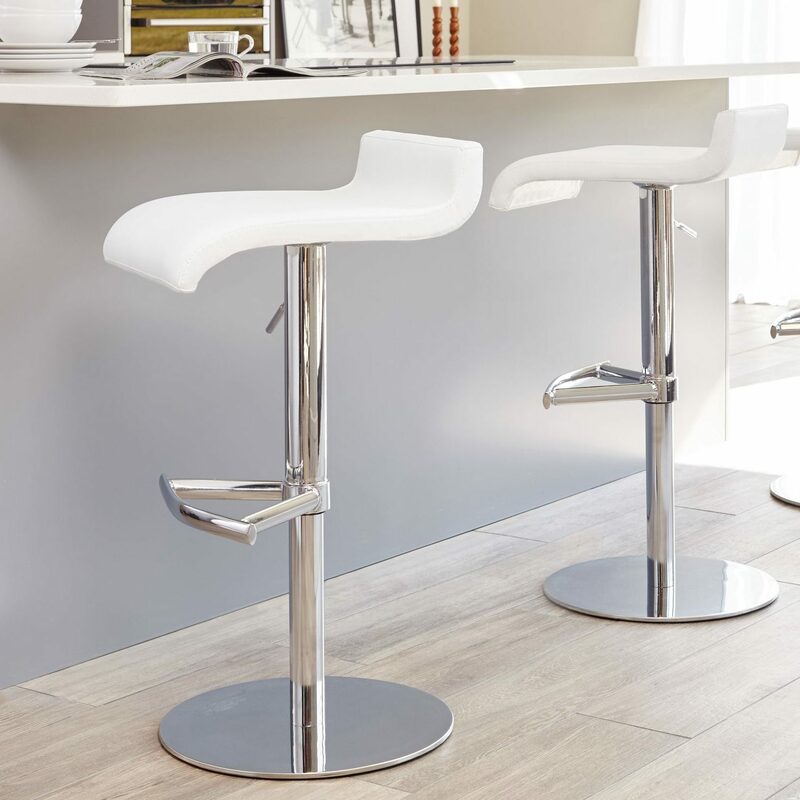 The back of the Serroni Bar Stool is ergonomically curved, with the sides cut away to bring a touch of style to your kitchen. 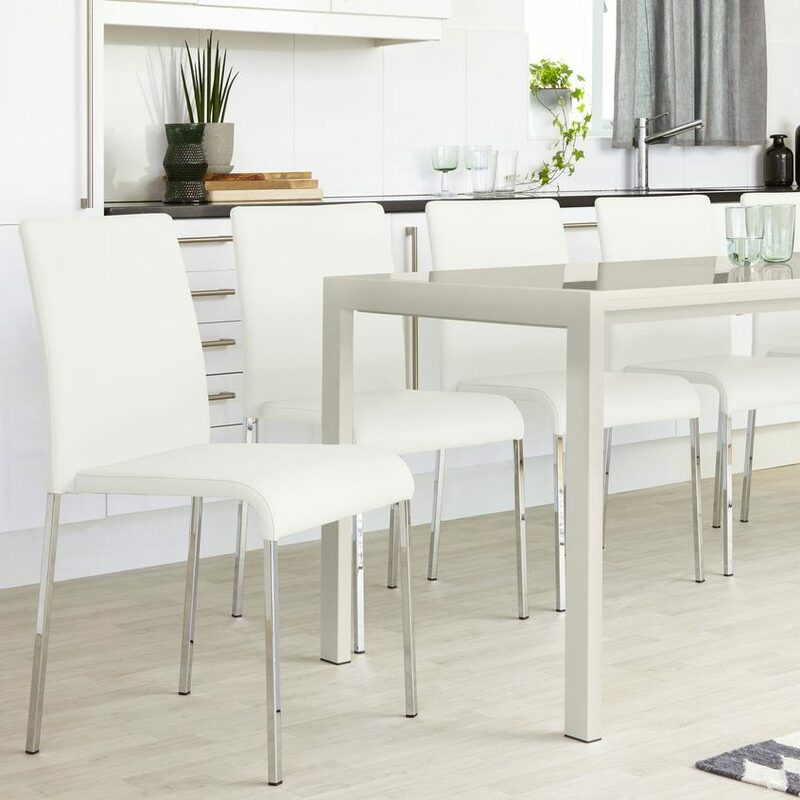 The matching Serroni Trendy Dining Chair complements the Serroni Gas Lift Bar Stool perfectly, to create seamless style in any kitchen diner. 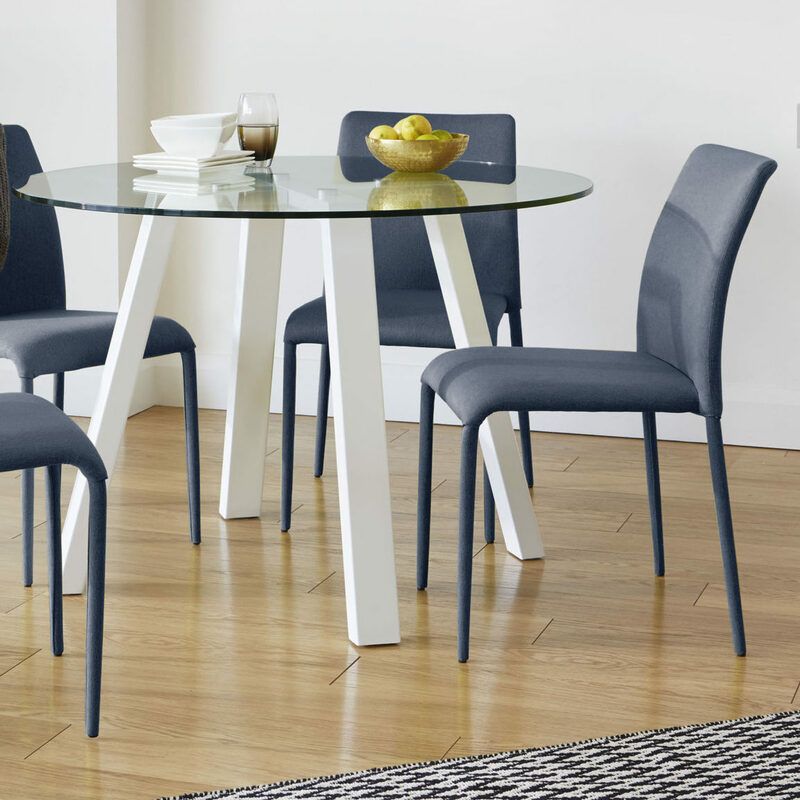 The funky designer frame and legs are finished in contemporary, shiny chrome and its back is ergonomically curved, again with cut-away sides, to bring an air of modernity and elegance to any dining space. 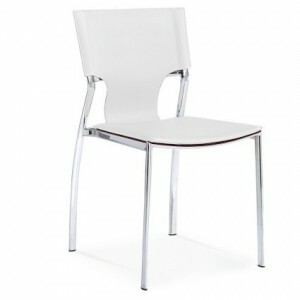 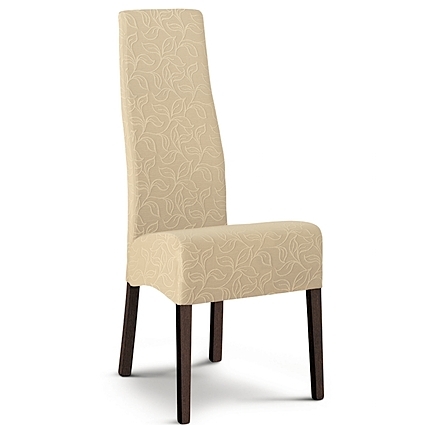 This chic dining chair looks great paired with a glass and chrome or high gloss and chrome dining table. 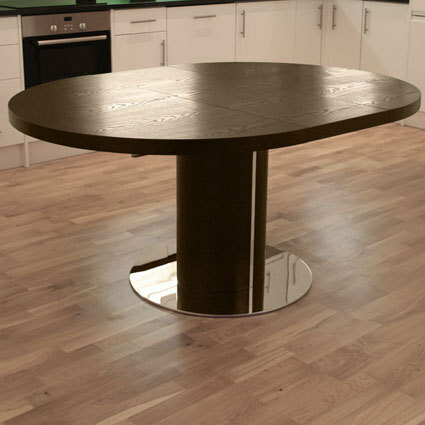 Check out our dining table range here. 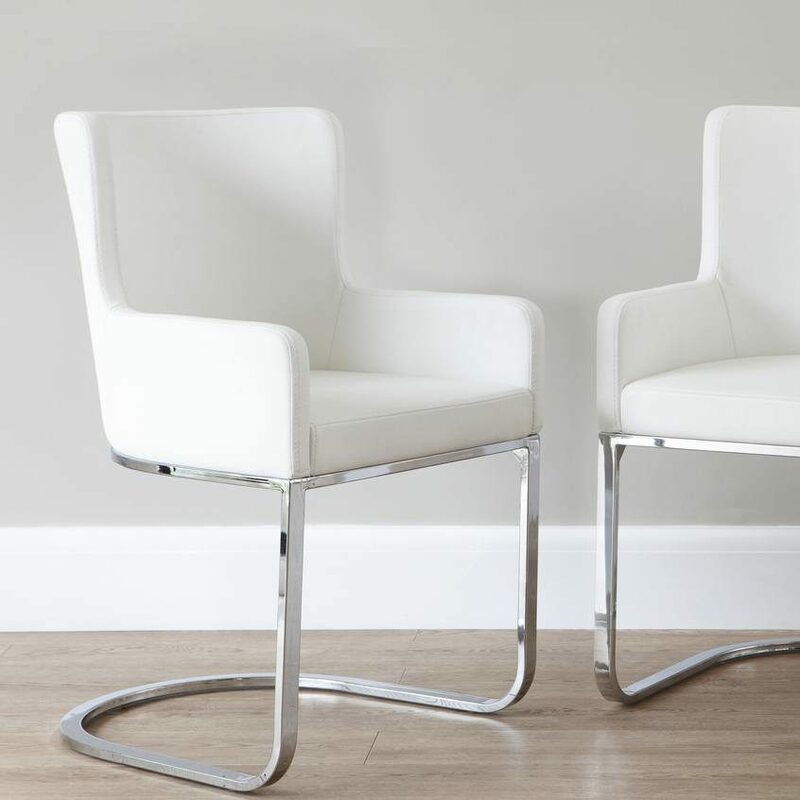 The stylish, modern and comfortable Elise dining chair and matching bar stools are upholstered in hard-wearing yet luxurious faux leather in a choice of three colours - classic black, trendy cream or modern white. 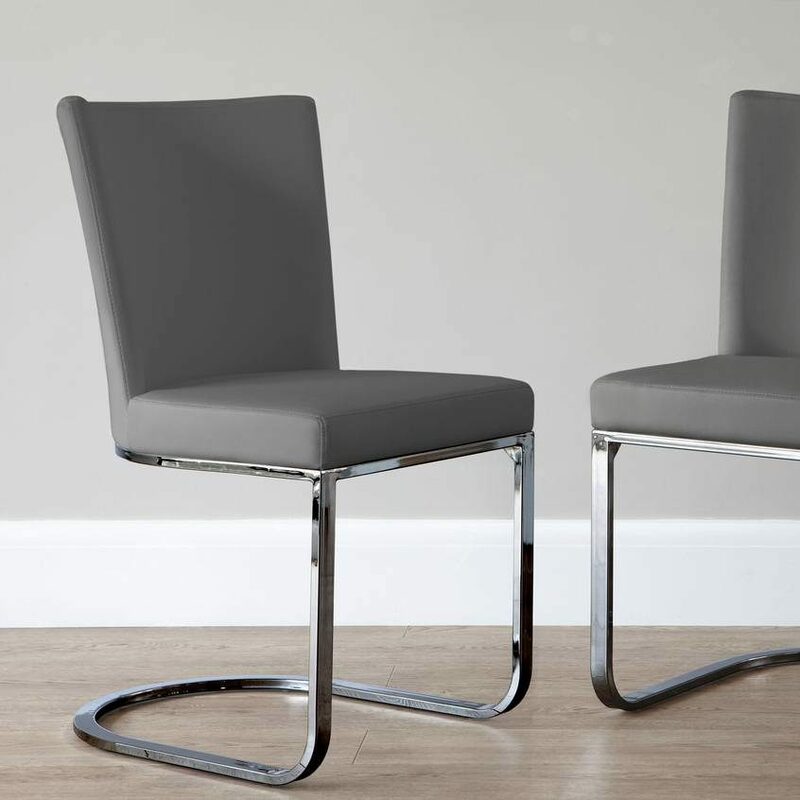 You will love the elegant rounded shape of the backrests on the modern Curva Gas Lift Bar Stool and matching Dining Chair which are part of our new exclusive range. 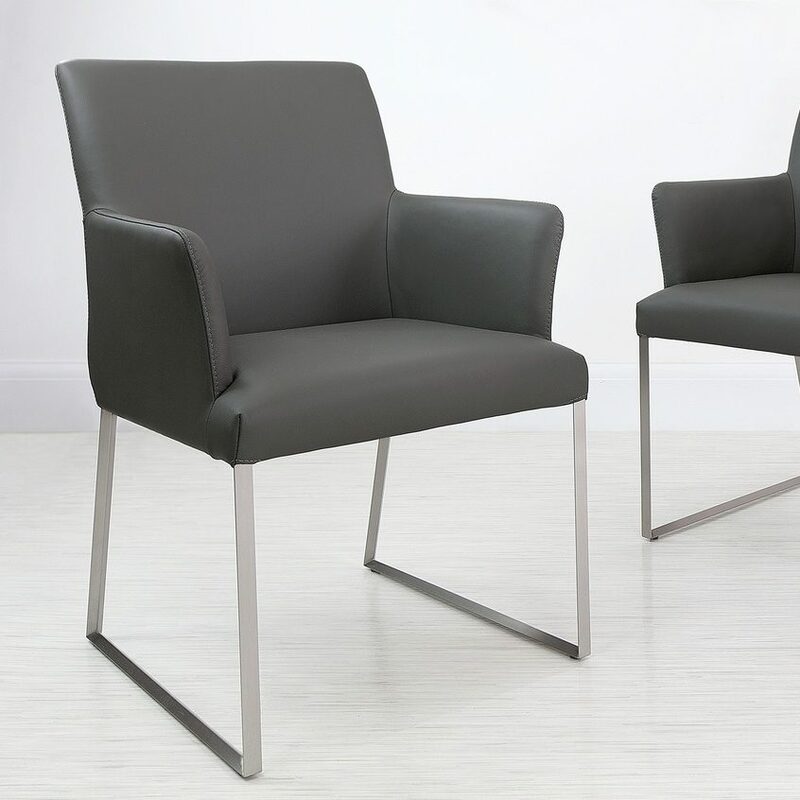 If you are looking for style, comfort and value for money but don't want to compromise on quality, then the Curvas are just right for you! 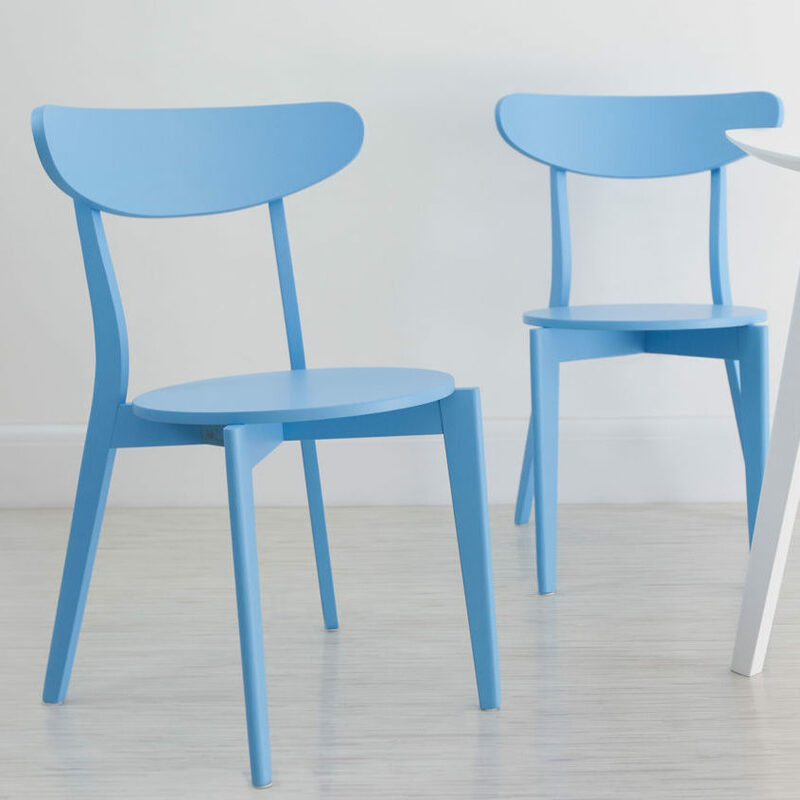 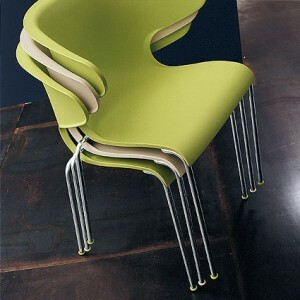 This funky retro plastic dining chair and matching bar stool are real attention seekers. 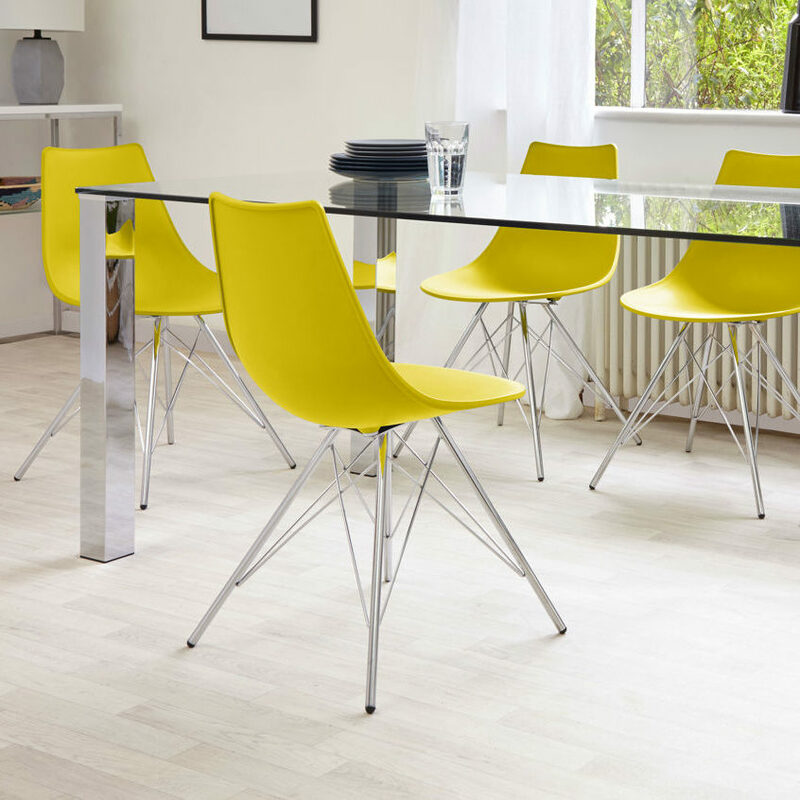 With their contemporary design, the Louina Chair and Bar Stool would look great in any modern kitchen diner and with a two tone vibrant plastic seat and back they will create a fantastic contrast and burst of colour. 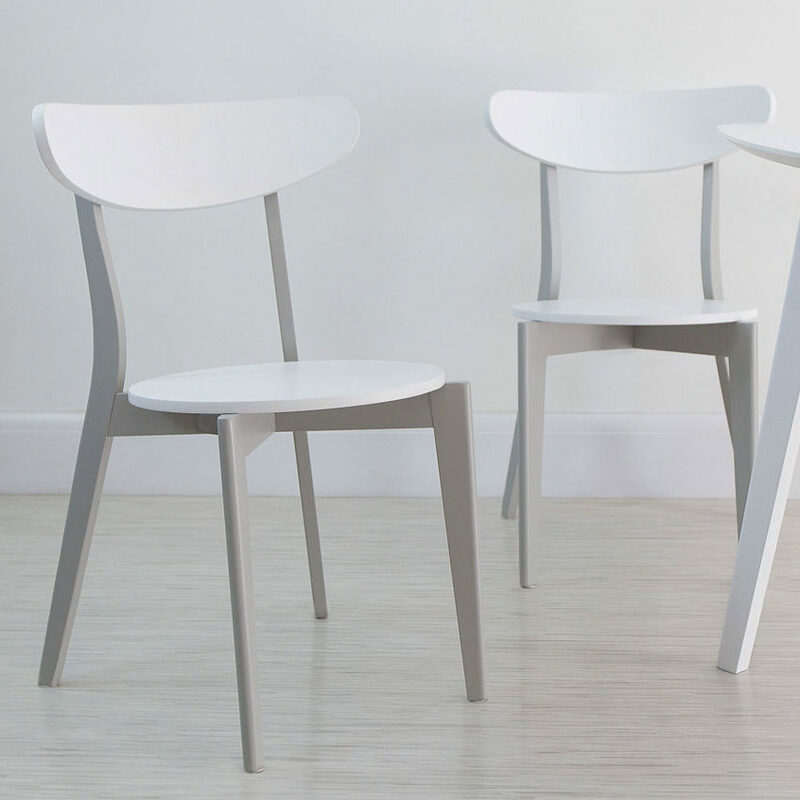 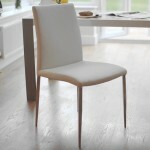 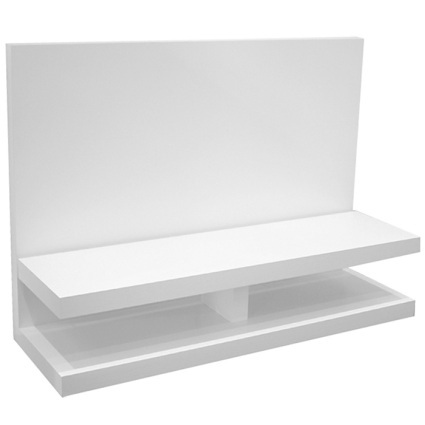 The funky seat is finished in white scratch resistant finish making it hard-wearing and durable. 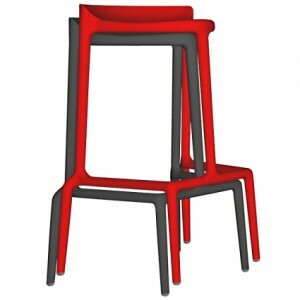 The shiny back is finished in a choice of red, orange, green or black. 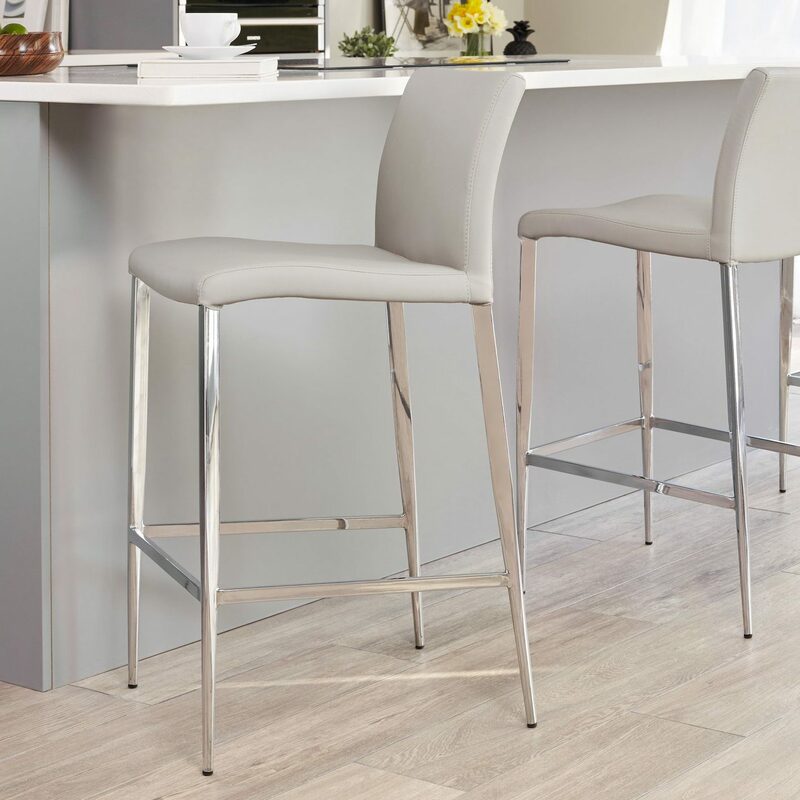 Other matching bar stools and chairs include the Candess Bar Stool and Candess Chair, the Hot Bar Stool and matching chair, the Elle chair and matching bar stool and the Coco bar stools and matching chairs. 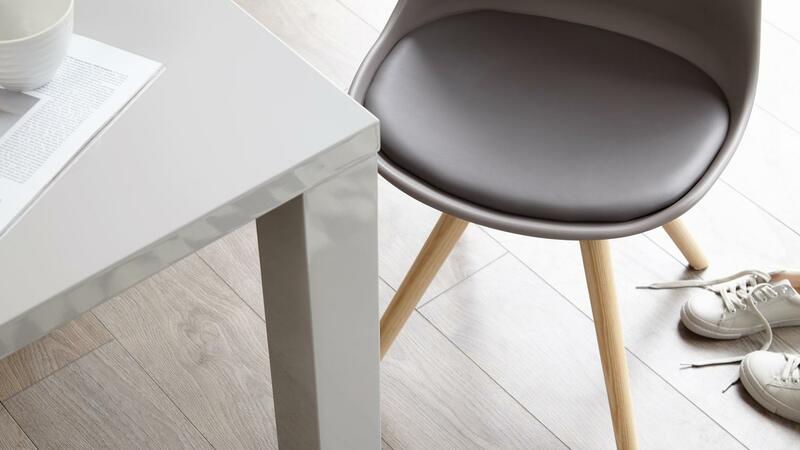 When you think of a neutral shade you probably imagine cream, stone, white or beige, but there is another option. 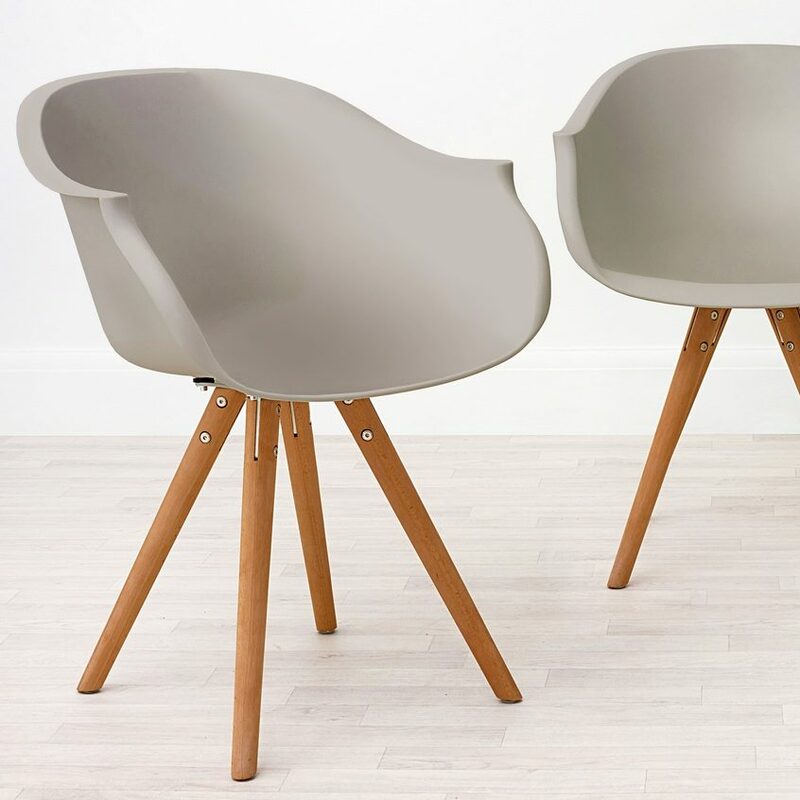 Grey has become the most popular neutral in homewares over the past year or so. 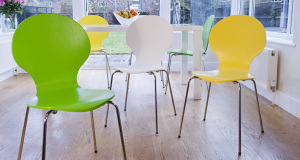 It’s really versatile as a base shade as it works well with other neutrals, as well as with bright shades like lime, purple and hot pink. 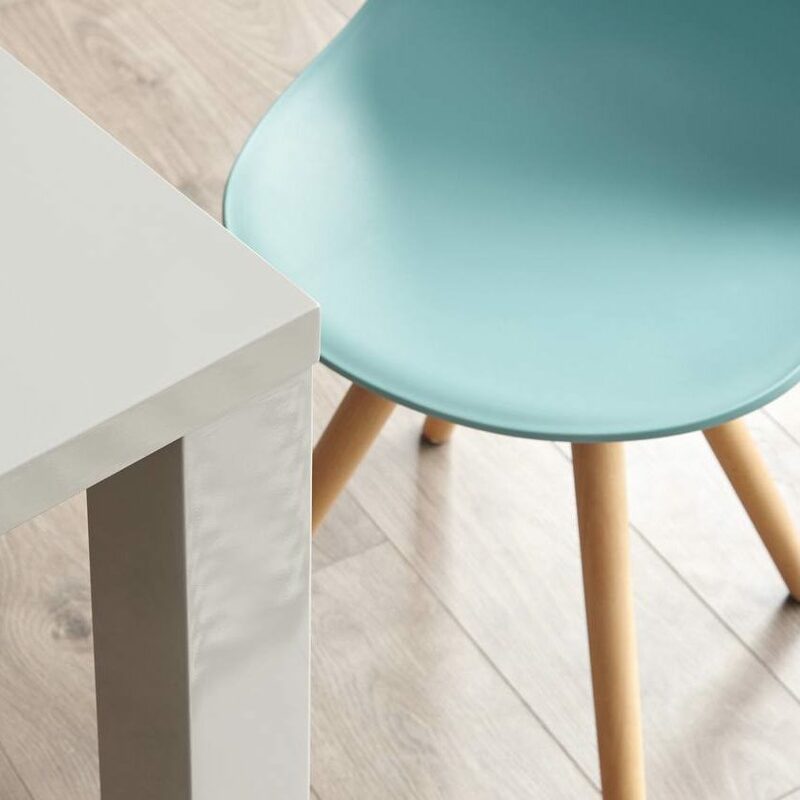 When teamed with navy or black it can look sophisticated and serious, while pairing it with baby pink can give a feminine, pretty vibe. 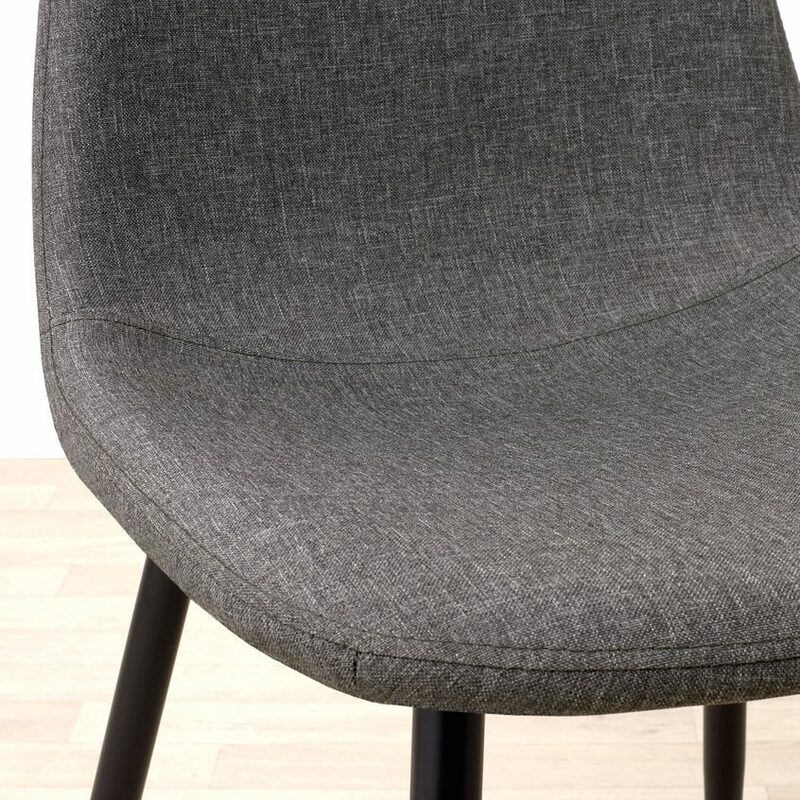 So it’s no wonder we’ve fallen for it. 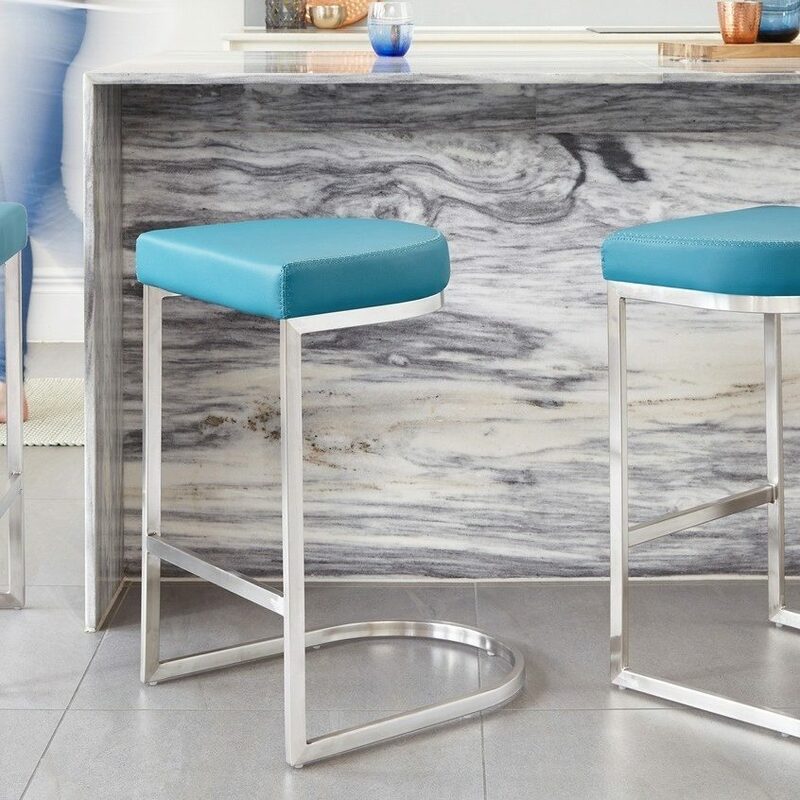 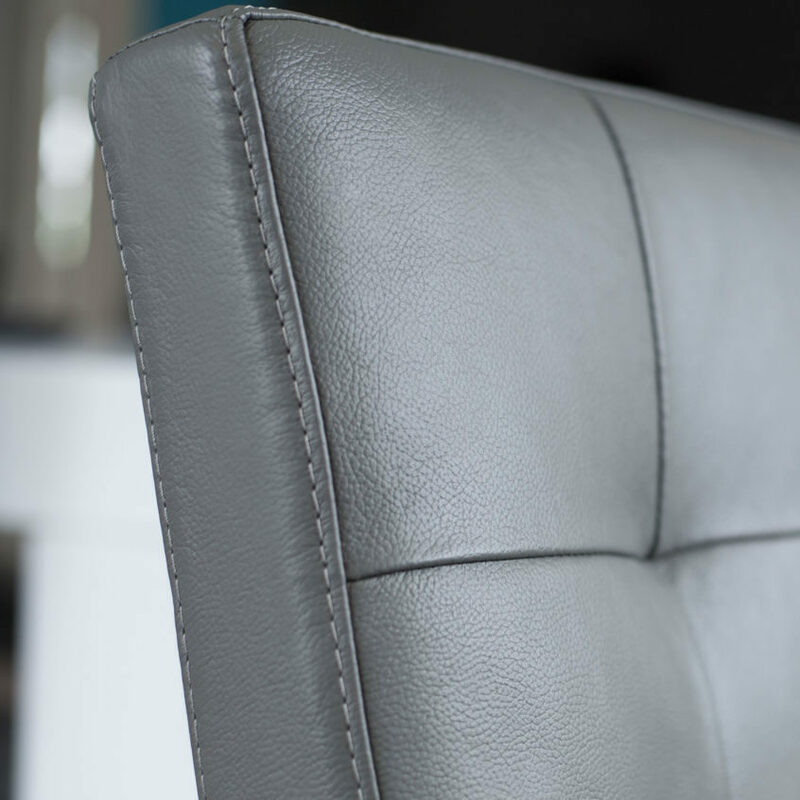 At Danetti, we’ve got a great selection of products that are available in grey, from bar stools, to sofas, so you can make sure your home is kept looking current and contemporary. 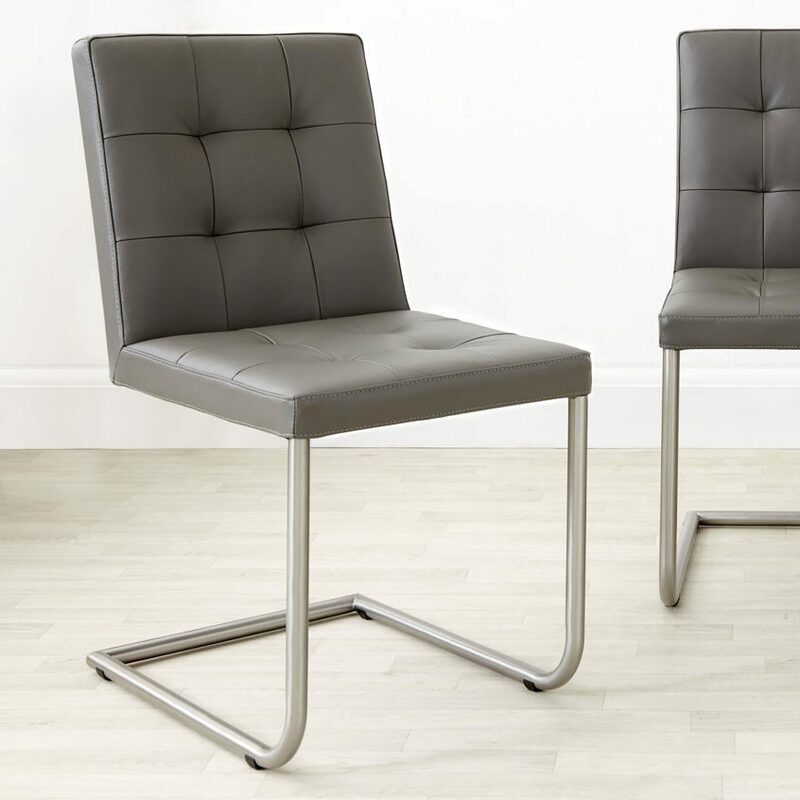 When Prince Harry comes to visit we like to imagine the two princes sitting together playing video games and eating pizza. 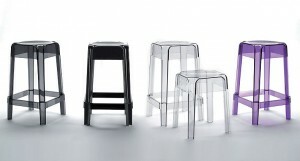 If so, these low stools would come in very handy. 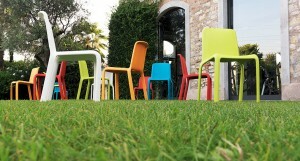 They can be arranged however you like and are available in a wide selection of colours. 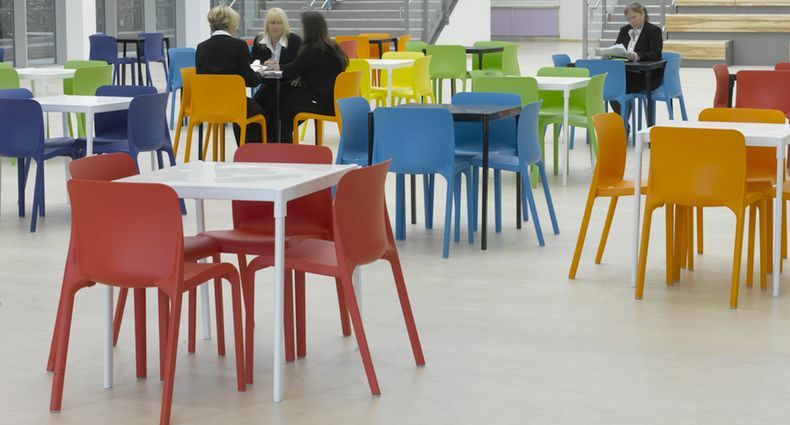 Personally, we'd choose a combination of red, white and blue, for an kitsch patriotic look!